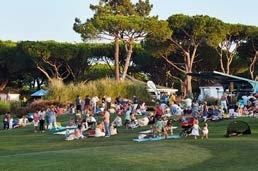 Quinta do Lago will be hosting 10 Picnics in the Park this summer. The resort's Driving Range will be transformed into a 'Central Park' where there will be live bands and entertainment for all the family, every Friday from 1st July to 26th August. Reserve your picnic basket at Koko Lane.